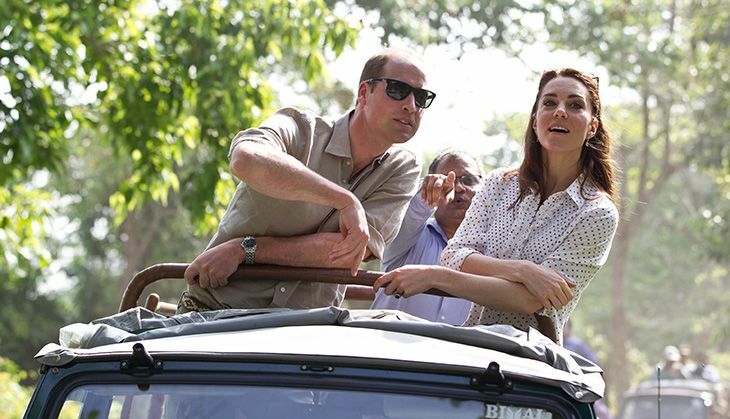 Royal couple Prince William and Kate Middleton headed out on a safari in Assam's Kaziranga National Park as a part of their Indian tour on Wednesday morning. The park authorities, who were ecstatic over the royal visit, expect a boom in the number of tourists visiting the national park. The Duke and Duchess of Cambridge, who arrived in the park yesterday, were welcomed by artistes performing Bihu and Jhumur, Assam's traditional dance forms. 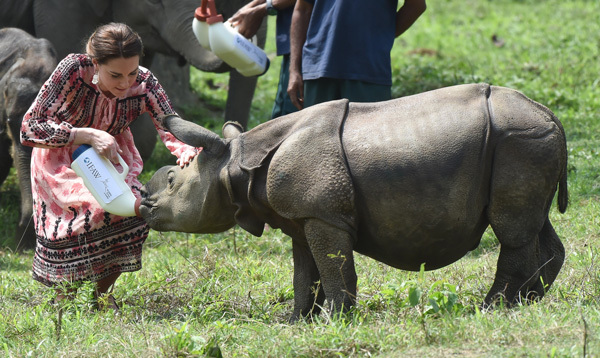 The national park is home to the world's largest population of one-horned rhinos. The couple is on a seven-day trip to India and Bhutan. Will and Kate kicked off their Indian trip on Sunday after landing in Mumbai. They paid their respects to the victims of the 26/11 terror attack on the first day of their visit.The royal duo met legendary Indian cricketer Sachin Tendulkar and Bollywood stars Shahrukh Khan and Aishwarya Rai apart from having lunch with Prime Minister Narendra Modi during the Delhi leg of their visit.